On Thursday May 24th 2018, Councillor Madeline De Souza had the great honour and privilege of becoming Mayor of our Town for the second time. She said "To say I am excited to represent our fantastic community is an understatement and I can't wait to get started. The plans for my mayoral year are still on the drawing board but I hope you will support me when you can. I will not have a named consort or Mayoress but will be asking friends and family to accompany me to events, of which there will be many. I would like to open this up to the adults and children in our town too. If you would like the opportunity to accompany me, please contact our Town Clerk, Melanie. I haven't yet decided my chosen charities for the Mayor’s Charity fund, that will be mentioned in a later newsletter. I do hope you will support me during this exciting year and I look forward to welcoming you at events throughout the town and further afield." If you would like to contact the Mayor, herpersonal details are available on this website and in the Valley News magazine. For further information or to invite the Mayor to an event, please contact Melanie Hearn, Town Clerk at Whitworth Town Council on 01706 852018. 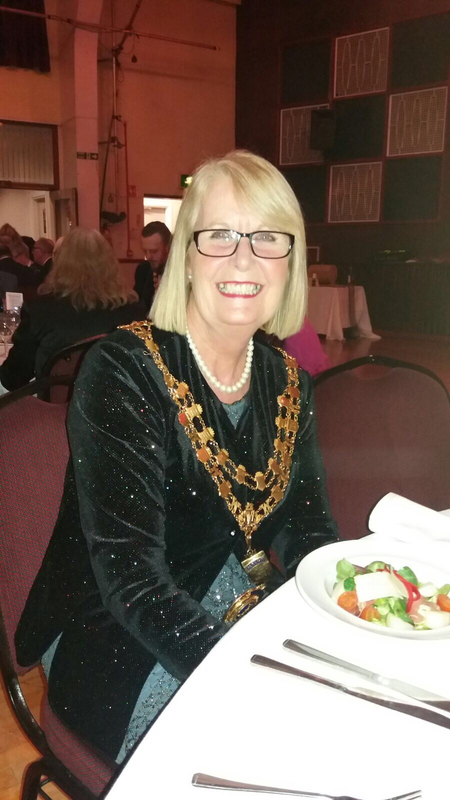 Pictured are Councillor Madeline De Souza, Mayor of Whitworth.